CONSTRUCTION: The Electrostatic Air Filter is a low resistance permanent filter. The pad is made from expanded aluminum and electrostatic media. This pad is enclosed in a heavy aluminum frame, securely riveted at one corner. By the use of air flow and static electricity, this filter picks up fine particles of dust and dirt. Designed to be used in home and office furnaces. It’s recommended to keep the fan circulating in the furnace to make your Electrostatic Air Filter most effective. Available in both stock and special sizes. 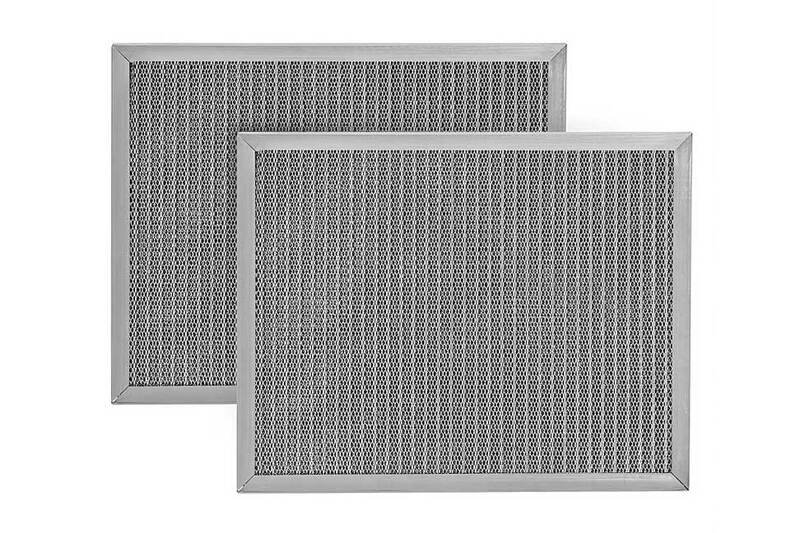 PERFORMANCE: This Low Resistance Electrostatic Filter meets manufacturer specifications for low initial resistance to air flow. MATERIAL: This filter consists of multiple layers of Lifetime expanded aluminum and multiple layers electrostatic media. Filter media is black in color.